I don’t usually dwell on the past, but I do wish that I had visited a chiropractor 35 years ago. This method of nutrition testing evaluates if there is toxicity in the body from a variety of stressors, such as chemicals, food allergies, immune agents, or heavy metals. It may also detect if there is an organ or organs that are weakened due to these toxicities. The program consists of ridding the body of the toxins and then repairing the affected organs. This involves a program of whole food supplements and diet evaluation. The more effort that the patient puts into the program, the quicker they may heal and the longer lasting the results may be. There is no lab work required. 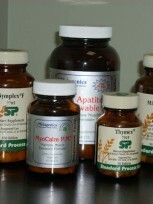 For those patients who just need a multivitamin to supplement their daily food intake, or who need additional calcium in their diet due to osteoporosis, or who need a supplement to help reduce the acid in their stomach and throat, we also carry a wide array of nutritional whole food supplements.